The story is not your typical murder mystery. The sleuth is not a detective, private eye, or lawyer. He’s an ordinary guy with an extraordinary dog. Jacob Martin is trying to make the best of a divorce and mid-life crisis when he gets a call at two o’clock Sunday morning from his mother. His sister has been arrested for the murder of her fourth husband, and his father is near death. 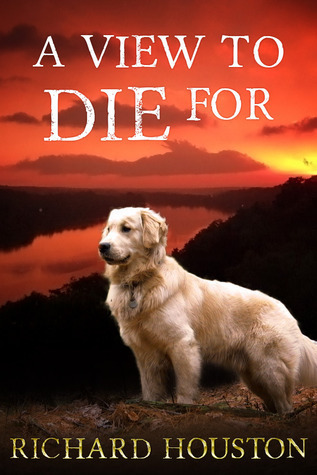 Thus begins an adventure that takes Jake and his golden retriever from their Colorado retreat to a backwater town in the Missouri Ozarks where they search for cold-blooded killers, a cache of gold coins buried by Jesse James, and the love of a beautiful nurse. A View to Die For by Richard Houston is the first book of the To Die For mystery series. This series is a bit of a cozy mystery in which the main character is not a detective or law enforcement but gets roped into helping out his family solve a crime anyway. Jacob Martin knew it was not good news when he gets a 2am phone call from his mother in another state. Sure enough it seems that Jacob’s sister has been arrested so he packs up himself and his faithful companion, Fred and sets out to head across the country to come to the rescue. After arriving Jacob finds out that his sister is being accused of her husband’s death which she claims someone murdered his after trying to sell some old coins. Jacob soon finds himself chasing down a killer and avoiding danger himself. A View to Die For wasn’t too bad of a little mystery read. The characters were likable enough with that small town vibe. Although I did kind of expected Fred, the dog, to play a part in the snooping but no he’s just a faithful companion brought along for the ride. I didn’t find it all that hard to figure out the whodunnit myself either but in the end I still enjoyed this one. Richard is working on his third career. His first was as a carpenter and roofer for twenty years while working his way through college. With a BS in Math he spent the next twenty-five years as a successful software engineer by working on the Space Shuttle at both Vandenberg AFB, and Johnson Space Center. He then went on to start Master Mind SofTools where he developed software for fortune 500 companies. 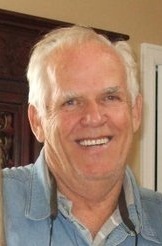 After taking early retirement in 2007, he moved to Warsaw, Missouri and built a home on the water with a view to die for. Richard now devotes his time to raising his great-granddaughter and writing. He is currently working on the second novel in the Jacob Martin series. I got this as a freebie and it is still sitting on my kindle shelf. I will have to give it a go. Nice review Carrie.